One of the main task that I do as a nursing informatics professional is to produce training videos for our end users. Most of the time the organization provides the required tools such as Camtasia or Adobe Captivate. It is, however, not the case most of the time. This is why I always look for free tools that can make my work more convenient and easier. Remember the screen capture tool that I presented earlier; Greenshot. It is so good that I can no longer imagine my life without it. If I did not exercise my relentless determination to find a solution, I would have been using that clunky windows screen capture tool. This time, I will introduce you to 5 screen capturing utilities that can make you the next Spielberg of EHR/EMR training videos. These applications share a similar purpose which is to capture your screen activity and create a video file that you can edit later. It is also useful in filing detailed reports to your vendor’s technical support team. I am sure that you can find a lot of uses for these little babies. CamStudio is able to record all screen and audio activity on your computer and create industry-standard AVI video files and using its built-in SWF Producer can turn those AVIs into lean, mean, bandwidth-friendly Streaming Flash videos (SWFs). This is one of my favorite. It is very easy to use, and its ability to create a flash formatted video file is a killer feature. A Java-based screencasting tool that requires no downloads and will allow you to automatically upload to hosting. According to their site it works well with Macs and Windows machines, but does have some issues with Linux. I also like this one but it requires good internet connection and a fast computer. AviScreen is an application for capturing screen activity in the form of AVI video or bitmap images. Beside the usual options defining the capture area, AviScreen has a unique feature called “follow the cursor”. Using this mode you can produce a video or image of relatively small dimensions while covering all mouse activity over the whole screen area. This is my other favorite. The “follow the cursor” capability is a deal-breaking feature. Wink is a Tutorial and Presentation creation software, primarily aimed at creating tutorials on how to use software (like a tutor for MS-Word/Excel etc). Using Wink you can capture screenshots, add explanations boxes, buttons, titles etc and generate a highly effective tutorial for your users. It has an intuitive user interface and works as well as a basic screen capture utility. Its killer feature is its ability to create a navigation button within the created content. This is perfect for creating a self-paced learning material. The software takes a picture or video of the user’s computer screen and uploads it to the Web, FTP, computer or clipboard. If uploaded to the web, the program automatically creates a URL to the image that can be shared with others. Jing is compatible with Macintosh and Microsoft Windows.Users must sign up for an account before using the software.Its simple format and the ability to quickly upload screen casts has made Jing useful for virtual reference in libraries. 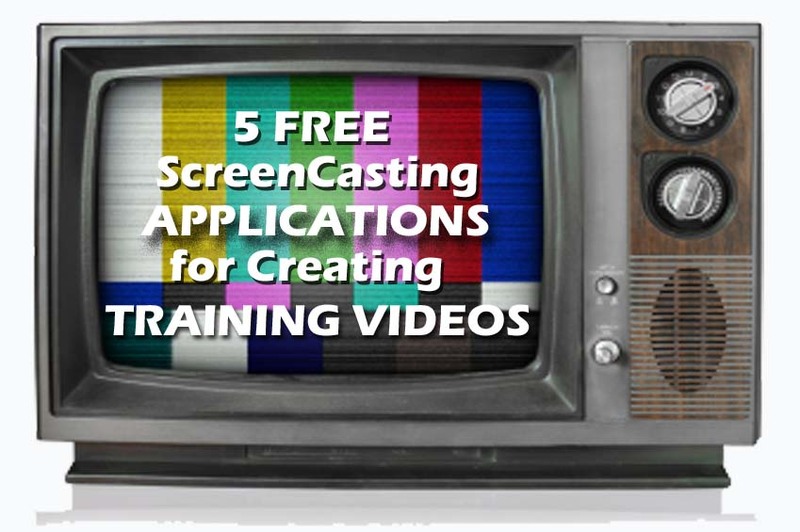 One of the best free or almost free screen-casting tool. If its totally free, I would really put on my top list. This from the same company who brought us Camtasia. Now that you have the materials, the next step is to edit those video files and create your tutorial movie masterpiece. We will be discussing the basics of video editing in my next post. Question: Can any of these software products create videos as video podcast?